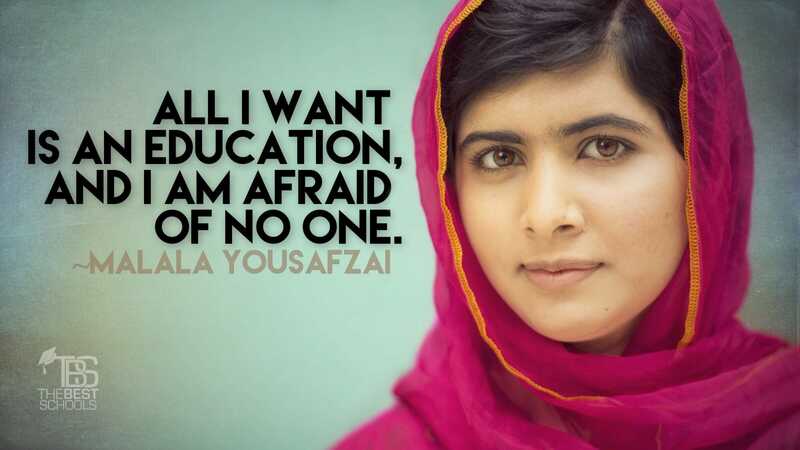 Malala Yousafzai S.St (Malālah Yūsafzay; born July 12, 1997) is a Pakistani activist for female education and the youngest-ever Nobel Prize laureate. She is known mainly for human rights advocacy for education and for women in her native Swat Valley in the Khyber Pakhtunkhwa province of northwest Pakistan, where the local Taliban had at times banned girls from attending school. Yousafzai’s advocacy has since grown into an international movement. —Wikipedia contributors, “Malala Yousafzai,” Wikipedia , (accessed June 3, 2016).